Blessed with picturesque landscapes, vast national parks, and raw subtropical coasts, South Africa is undoubtedly one of the most beautiful countries in the world. No wonder why millions of tourists throng to South Africa, every year, to experience the beauty of this region. Also, let us tell you that if you plan to book a South Africa tour package anytime soon, then make sure you opt for a longer stay as a week’s vacation won’t be enough to experience the vividly beautiful country. And just in case you don’t have much time on hand, make sure you at least visit these five South African attractions that are one of the most famous destinations among tourists on a South African tour. Take a look. One of the world’s most famous safari parks in South Africa, Kruger National Park is a must-visit attraction. The oldest reserve in South Africa is approximately 5 hours’ drive from Johannesburg. The national park gives visitors to see the ‘Big Five’– lion, leopard, buffalo, elephant, rhino and a variety of other wildlife. The park is also home to bushman rock paintings as well as archaeological sites. You can also opt for the walking safari, or take a hot air balloon ride to explore the vast grasslands, gallery forests, and the river systems. A natural reserve in the Table Mountain National Park, Cape Point Nature Reserve lies at the tip of Cape Peninsula. The nature reserve was originally named Cape of Storms and has an 1859 lighthouse. A paradise for nature lovers, the abundance of flora and fauna includes approximately 250 species of birds, bucks and baboons. The best part is the National Park also has some world-class restaurants and curio shop. V&A Waterfront, which is named after Great Britain’s Queen Victoria and her youngest son Alfred, is one of the top attractions in South Africa. The popular destination is very popular among local families as well as tourists. From a number of shopping outlets, curio shops, puppet shows, fine dining places to workshops, there are of things you can experience at the V&A waterfront. There are also a number of museums, markets, which give you a chance to learn about the city harbour and also visit the Two Oceans Aquarium. You can also indulge in some outdoor activities such as harbour cruises, boat charters and helicopter flips. Drakensberg, which implies Dragon Mountains, is another spectacular destination in South Africa. The place is home to the country’s highest peaks. 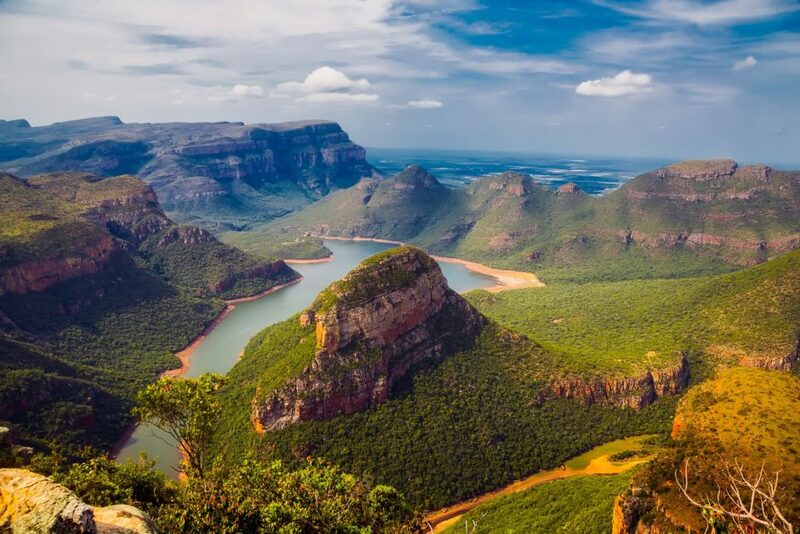 The region has some of the famous World Heritage listed destinations such as uKhahlamba-Drakensberg Park, San rock art, Royal Natal National Park, beautiful Amphitheatre and a cliff face. Don’t forget to go for hot air balloon rides to appreciate the place. The Garden Route runs for approximately 200 kilometers through some of South Africa’s breathtaking coastal scenery. The main highlights of the place include the beautiful town of Knysna snuggled in the dense forest, Garden Route National Park with the stunning gorges , tidal pools, and thick forests. You can also go for elephant rides and whale watching trips to bungee jumping and tree canopy tours. South Africa’s scenic beautify and diverse wildlife make it a popular vacation destination. If you too want to book a South Africa tour package, the best way is to contact an international tour operator that can help you select a holiday package that matches your plan and budget. But, make sure you get quotes from at least three to four operators to be able to compare the packages, and to get the best deal possible. A vacation is usually a group activity. Most people think of vacations and going somewhere nice with an amazing view together with a bunch of friends and loved ones. It would seem like not a lot of people are excited about taking solo vacations. The thing to note is that solo vacations are an amazing experience. A few people have noted that they feel very free and emancipated when they take a solo vacation because they can do whatever they want, whenever and however they choose to. You need to do a lot of research and planning ahead of your travel date. What kind of place are you going to? What are the safest areas of the city? Is it safe for me to plan fun activities at night? What is the dress code and what type of behaviour is allowed or frowned upon? Generally, it’s safer to not stick out like a sore thumb especially if you’re in an unsafe area. This is so you don’t get targeted. Make a list of everything that your vacation will cost, including your Uber trip to the airport or train station. If you’ve done really good research, then you already know how much your flights and accommodation will cost. You also already know the places you’d like to visit at your destination. Put all of this in a budget and be honest with yourself about what you can and can’t afford. Some places are a bad idea to visit at certain times of the year. Other places are more fun at certain times, too. The best way to enjoy your destination is to choose a time where there’ll be a lot of activities that let you soak in and enjoy the experience properly. 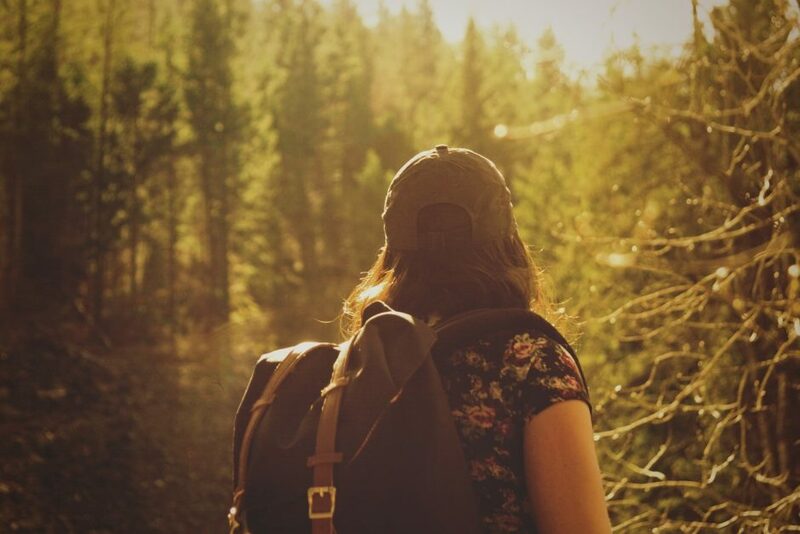 Reports have it that the best place to stay for a solo vacationer is an Airbnb or a hostel. The great thing about places like this is that you get to enjoy your destination with a lot of other people who can show you the best places to go and how best to enjoy your time. Your social life would largely improve and you wouldn’t be so alone anymore. Another fantastic thing about this is that hostels and Airbnb’s are generally cheaper than hotels. So if you could have accommodation without spending a lot of money and you still have amazing people around you with common interests, what more could you want? Most importantly, don’t be too afraid or reluctant to go on a vacation alone. They are fun, interesting, and could help you see the world through other people’s eyes and experiences. 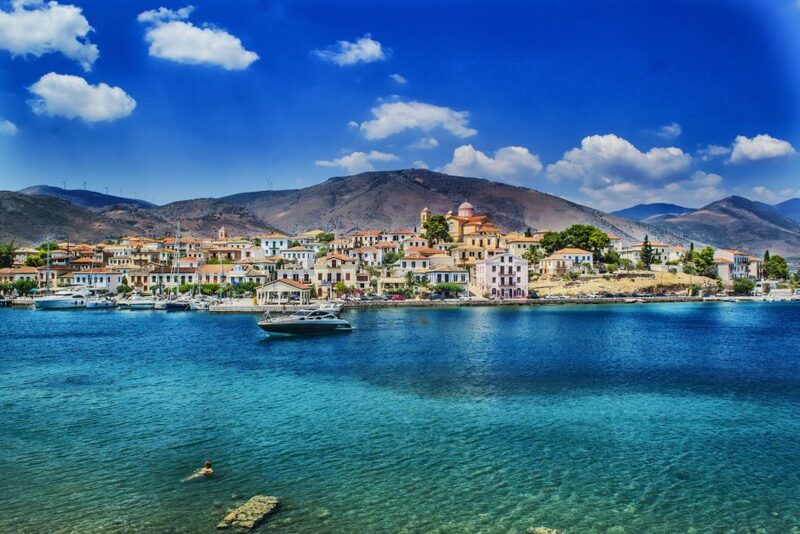 Feel free to find a last minute singles holiday today and take a trip! The best way to experience Hanoi street food is to take a walking tour of the city. It will give you a closer look at how these dishes are prepared and served by Vietnamese people. 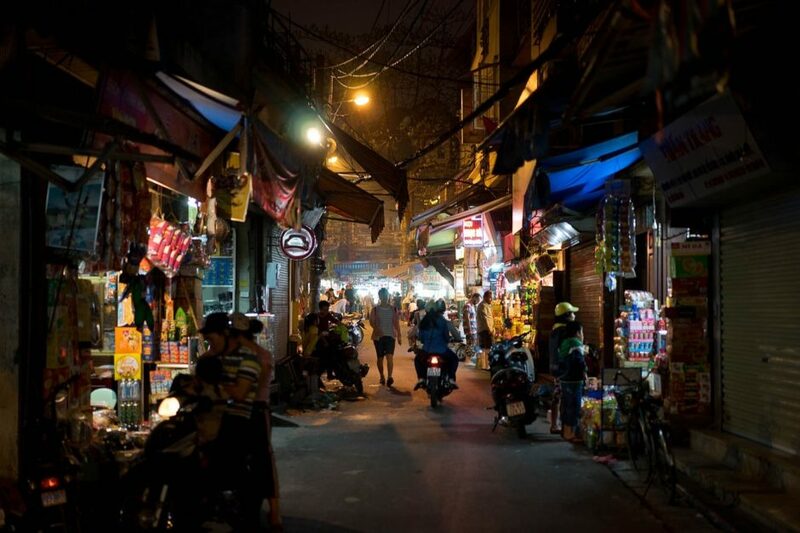 To make your trip more immersive, try the Withlocals food tour, an app that pairs you up with a local who can guide you through the busy streets of Hanoi and take you to the best street food stops in the city. There are different ways to experience the street food scene in Hanoi. You can take a private tour with a local through an app like Withlocals, or you can book a group tour. How are they different? Customizability: Group tours usually have a set itinerary. You’re told where to go and when to leave each stop, which often prevents tourist from experiencing the true essence of the city. Meanwhile, a private tour can give you a unique experience that’s totally customizable to your preferences. If you like a place, you can stay longer or visit it more than once during your vacation. You can also tell your local guide if there are certain places that you want to try or have been recommended by friends who have visited Hanoi before. Authenticity: Organized tours often fail to give tourists an immersive experience because they’re trying to stop by so many places in such a short amount of time. As a result, you get a holistic but not an immersive tour of the city. So if you want authenticity above all else, and if a taste of the local cuisine is your main reason for visiting Hanoi, then a private tour is the better option for you. Locals are the key to experience even the most touristy destinations in a renewed, respectful and sustainable way. Privacy: Don’t like the idea of spending so much time with foreign strangers who know nothing about the history and culture of Hanoi? You might enjoy a private tour more. After all, locals are the ones who live in the city and walk these streets daily, so they can take you to the best and most authentic venues, markets, and street food stalls. Did you even go to Vietnam if you didn’t have a taste of their famous pho? Pho is a Vietnamese noodle soup made with delicious beef broth, rice noodles, fresh vegetables and herbs, and a combination of spices and sauces. When you try this delicious Vietnamese staple, make sure to squeeze in a half of a lime into the broth to add another layer of flavor to this exquisite main dish. Born in Saigon in the late 1950s, bánh mi is one of the good things that France brought to Vietnam during the invasion. It’s a fusion between the French baguette for the bread and Vietnam’s fresh and local ingredients for the sandwich filling. As Americans got involved in the Vietnam war, bringing with them wheat shipments from the West, bánh mi became more popular in many different parts of the country. Today, you can have a taste of bánh mi in almost every street corner. When someone says dessert, what’s the first thing that comes to mind? A slice of cake or pie? A chocolate concoction of some kind? 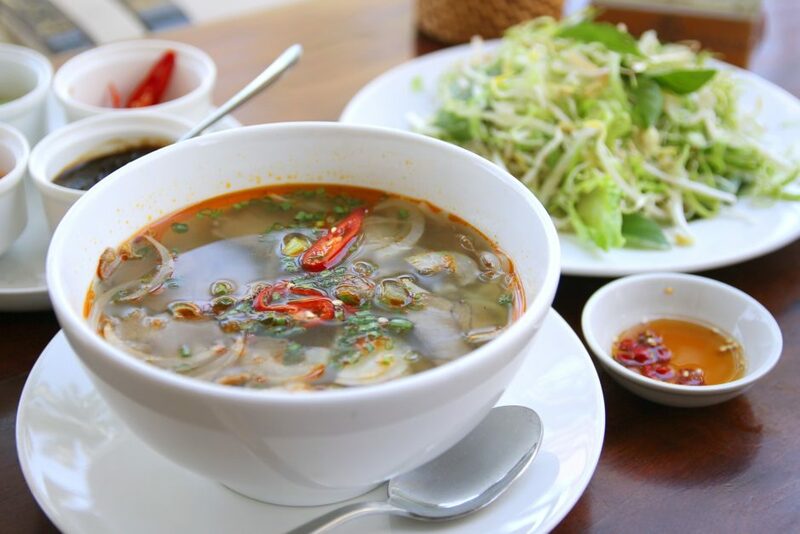 In Vietnam, the most popular dessert is chè, an interesting dish that can either be a pudding, a drink, or even a soup. When in Vietnam, try at least one of these famous types of chè: chè chuôi, chè thái, chè trôi nuóc, chè ba màu, and chè bap. Xoi is a favorite breakfast food among locals. It’s a simple breakfast dish that can either be sweet or savory. Basically, xoi is sticky rice mixed with corn and beans and served with chicken, sausage, eggs, and pork. Start your walking tour of the city right with a serving of Xoi in the morning. A dish that proudly originated in Hanoi, bún cha is a Vietnamese super meal. It usually consists of four different dishes: rice or rice noodles, meat, pickled vegetables, and fresh herbs. It is also served with different dipping sauces for the meat and a few side dishes. When US President Obama visited the country, he tried bún cha and immediately fell in love with it. Is your mouth watering yet? Get excited because these Vietnamese dishes are waiting for you on your vacation! Just make sure to choose the right kind of food tour for you and you’ll be eating the best local cuisine in no time. When you hear the word all-inclusive, you might get a little excited and a little nervous. Who wouldn’t want to go on an all-inclusive cruise holiday where you pay one price and get everything you want or need? That’s pretty much how these cruises work. While every cruise is different, when something is advertised at all-inclusive, it usually means everything is paid for up front, and there is no extra money needed. That doesn’t mean you won’t have any added expenses. Before you book your cruise, make sure you know what’s included. Most cruises have many different dining options. There are fast food restaurants, room service, buffets and even fine dining options. When you book a cruise, you will receive an itinerary and information about your dining options. It will tell you which dining options are included in your all-inclusive package and which ones are extra. Most of them will be included, but you will have the option to upgrade to better food for a small fee. Sometimes, the included meals are only available during certain times of the day. Make sure you understand how the dining works on the cruise. When you book a cruise, you will find a variety of different entertainment options. There are usually several things going on at one time, and they are different every night. You can expect to see game shows, variety shows, comedy shows, and of course song and dance acts. Almost every cruise includes these in the all-inclusive price. Occasionally, a cruise may host a famous singer, band, or comedian and charge extra for that show. If you are in doubt about the entertainment, check your itinerary or call customer service to check. You probably don’t plan on staying on your cruise all day, especially when the ports are interesting and fun. Be aware that most excursions are not included in the booking price. You will need to book and pay for them separately. Some ships do offer some small excursions such as trips to a private beach or a local show. You do not have to take excursions and are welcome to stay on the boat while it’s docked. If you do choose to book excursions, check on the price and make sure they return you back to your port to board the boat in time at the end of the day. Cruises are a great way to travel the world without having to drive or fly. They are usually one of the most affordable options as well. All-inclusive cruises are great because you can plan for your costs ahead of time and don’t have to worry about budgeting during the trip. Understanding what is included in your cruise will help you enjoy it more and avoid sudden surprise costs. Most cruises are upfront about what is included in their prices. If you have questions about a certain meal, entertainer, or excursion, you can always contact the cruise line directly for more information.